When it comes to solving the various challenges presented by a water heater failure, pipe burst, or any form of flooding, 911 Restoration Houston owner Eli Elkayan, and the water damage Seabrook team, are the best solution for repairing the damages, and relieving the stress that these situations can cause. Taking charge in a water damage Seabrook scenario involves quick timing, and this is why Eli and the water damage Seabrook team are ready to be anywhere within 45 minutes of a call from a distressed property owner. 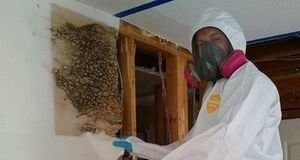 Eli and the water damage Seabrook crew know that when a water damage scenario does unfold, it also tends to do damage to the peace of mind of the homeowner going through the situation. Don’t let your home become flooded through with water from a water heater failure, pipe burst, ceiling leak, or any other means. Contact Eli and the water damage Seabrook team with 911 Restoration Houston and get all the restoration assistance you need today! 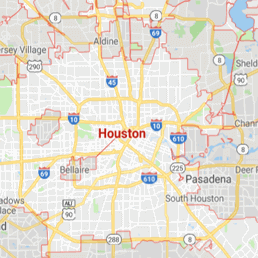 Eli and his water damage Seabrook team with 911 Restoration Houston are the go-to source for restoration services in the area, but they are also regularly tapped for their ability to help homeowners prevent such scenarios in the first place too. People need to make sure that they clean out their gutters and downspouts before every winter season and after fall. This will help to prevent overflows which can form behind clogs and cause spreading, warping, and destruction of the layers that compose the roof. Never deposit anything into the plumbing system that it was not designed to handle. This can often include products that claim to be biodegradable. When these items get lodged inside the pipes they can create pipe bursts which cause mass water damage. Take the time to inspect your hoses, connectors and any fittings that link up your water-based appliances to the main line. 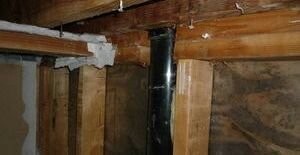 If you spot any nicks or cuts, be sure to replace them quickly to avoid a water damage scenario. Have a plumbing expert do a snake scope inspection of your entire system to ensure that there are no obstructions which might grow with time and cause a water damage situation down the road. Don’t let a water damage event force you from you home unexpectedly. Contact Eli and the water damage Seabrook team with 911 Restoration Houston and let them take care of everything for you today! Eli and the water damage Seabrook team have been providing solutions to the challenges of different water damage situations for their and entire careers, and in that time they have mastered the craft of their trade. This is how they knew exactly what to do when they got to the site of a recent water damage job in a homeowner’s kitchen. When Eli and his team got to the site, they immediately began with repairing the faucet and simultaneously eliminating the standing water from the premises. Ultimately Eli and his water damage Seabrook team took complete control over the challenges presented in this situation, and gave the homeowner back a kitchen that they could be proud and excited to cook in again. Don’t let your kitchen be overrun by flooding from a kitchen faucet loss. Contact Eli and the water damage Seabrook team with 911 Restoration Houston and let them solve it all for you in no time at all today!